What's more than perfect for summer? Flower dresses of course. They perfectly match the mood of the season and are perfect for the day but even for the night. I personally love to wear them for a night out, or during summer beach parties, but they fit in almost every occasion in summer. The prices on Zaful are low and the quality of the dresses is great. They fit perfectly and there is a vaste choice of dresses for every taste in fashion: you can choose between a boho-chic-style floral dress or, if you prefer, a more elegant one. Why not choosing a backless floral print dress? This dress is perfect for clubbing or a nightout. I love backless dresses and the flowers at the bottom are perfect for a hot summer night. You can check it out here. Do you prefer to wear a skirt? 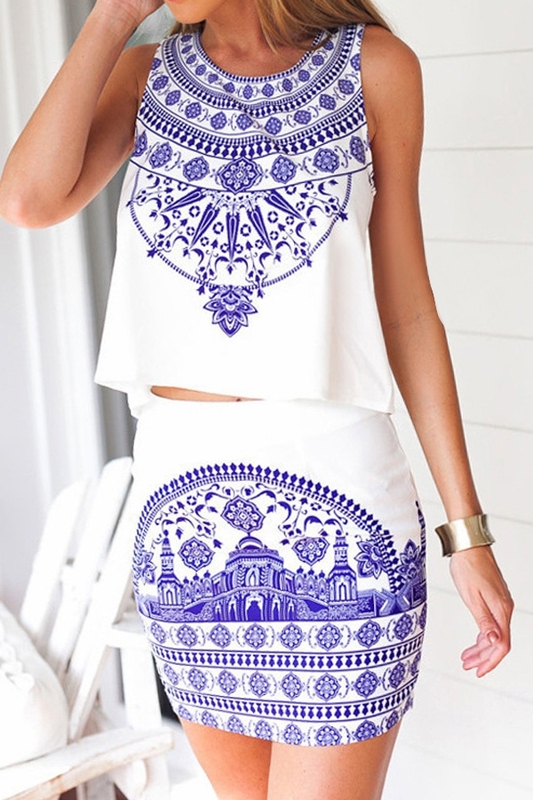 you can also chose a tank top with the matched skirt. White is a color I love for summer, especially with the tanned and sun kissed skin. This is pure perfection for summer. You can check this out here. But we can look perfect even at the beach, so why not covering out bikini with this long-sleeve see through dress in lace? See more here. Another thing I love? light colors and round collar neck. Check this beautiful dress out here. So I hope you can find your perfect floral summer dress for this season on Zaful. You ca check out more dresses here. Enjoy and get inspired by the newest trend.